During the Mediterranean era, cedar wood provided the hulls for many ships traveling to faraway places. Today, it’s rare to see a wooden ship because steel is now the more viable option — metal is stronger and lasts longer. Even though the functionality of cedar wood is out-of-date, its beauty remains intact. The soft, red-brown, fine-grain look stood the test of time. Now, with Timber Creek Shake, you can re-create the beauty of cedar and combine it with the modern marvel of metal. Withstanding the harshest climates while remaining virtually maintenance free is one of the many benefits of metal roofing. 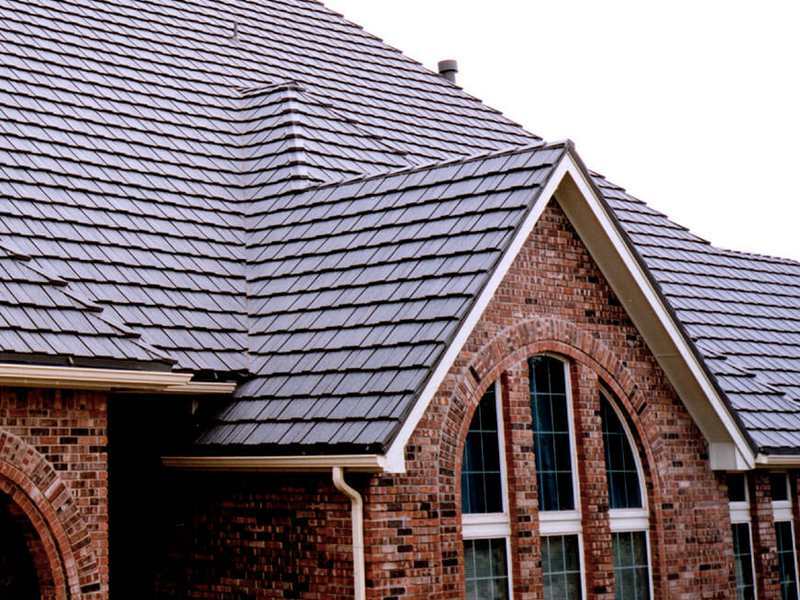 Timber Creek Shake’s three-dimensional shingles add a layer of traditional sophistication to the look — as well as an increase of property value — of your home. Timber Creek Shake uses only the strongest, most advanced steel available today — G-90 galvanized steel. With this time-tested strength of steel, Timber Creek Shake holds its own against fire, hurricanes, hail, and any other extreme weather imaginable. Timber Creek Shake also utilizes state-of-the-art Thermobond® technology. Other steel roofing employs old-fashioned practices of gluing small stones to the shingles for sealing purposes. A once-viable idea is no longer effective, because the stones wear, blow, or even wipe right off the shingles over time — even in minimal exposure to weather. Thermobond, on the other hand, bakes on a layer of Kynar powder to each shingle. This creates a chemical bond via micro three-dimensional granules that seal shingles together for life, even in the most extreme weather conditions.